The Department of Animal Husbandry, Dairying and Fisheries in the Ministry of Agriculture and Farmers welfare has declared India free from Avian Influenza (H5N1) from September 5, 2016. This has also been notified to the World Organisation of Animal Health (OIE). Avian Influenza (H5N1) or bird flu broke out in Humnabad town of Karnataka on May 9, this year. No outbreak of the virus has been reported since. To prevent any further spread of bird flu, the agriculture ministry undertook control measures. Entire poultry population was stamped out, including destruction of eggs, feed, litter and other infected materials. The movement of poultry and poultry products from the outbreak area was restricted, followed by disinfection of infected premises. Surveillance was carried throughout the country and presence of bird flu was not found. In a letter to the state chief secretaries, the Centre has emphasised the need for continued surveillance, especially in the vulnerable areas bordering infected countries and in areas visited by migratory birds. India’s first outbreak of Highly Pathogenic Avian Influenza occurred in February 2005 in Maharashtra, followed by the second in March 2006 in Madhya Pradesh. Over a million birds were culled at the time during control operations. As per a government document, 25 episodes of bird flu took place in 15 states and union territores of India till January 2015. A total of over 7.2 million birds were culled and Rs 24.32 crore paid as compensation to farmers. Poultry is one of the fastest growing segments of the agricultural sector in India today. 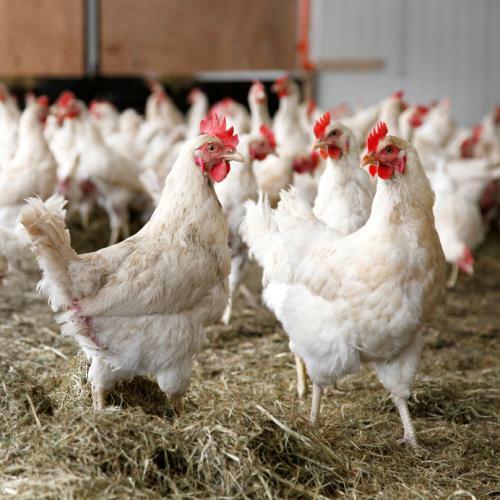 The production of eggs and broilers has been rising at a rate of 8 to 10 per cent per year. India is the world's fifth largest egg producer and the eighteenth largest producer of broilers, as per the Food and Agriculture Organization.